“What are the best websites for motorcyclists?” she asked me. She had been bitten by the bug. 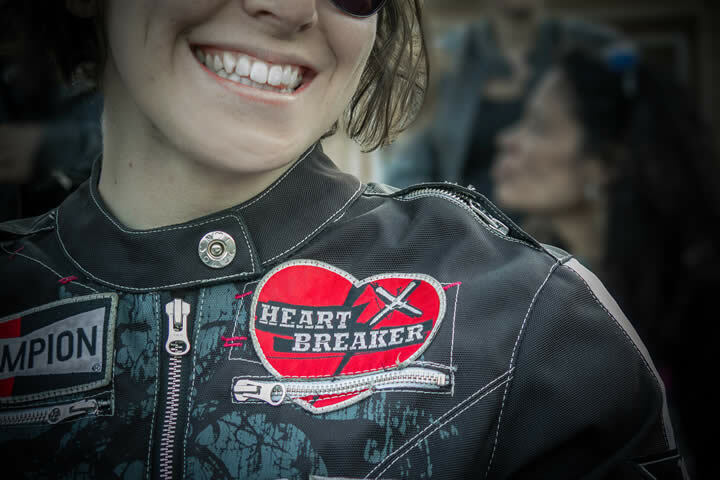 The bug that turns the average human into a motorcycle-obsessed freak, looking to learn as much valuable information about motorcycling as she could, as quickly as possible. Me? I’ve been doing this this online motorcycle thing for seven years. In that time I’ve come across some of the best websites for motorcyclists out there. 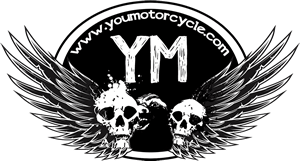 Sites that really put out great information or bring value to motorcyclists. Sites that even after ten years of riding, I still can’t do without. I’d like to make motorcyclists like you aware of these sites so that you can benefit from knowing them as well. Consider them a good tool: you might not always need them, but you’ll be happy to have them there. Of course, if you have your own suggestions please leave a comment! 1) Find out if your next motorcycle will fit you with Cycle-Ergo. This site allows you to input your height and inseam, look up a motorcycle, and determine how you will fit it. It tells you your body’s forward lean angle as well as your knee bend level. Because of its visual nature it’s a great tool for shorter riders or female riders to determine how much they’ll be able to flat foot a motorcycle flat foot. You can even enter custom adjustments to see how your motorcycle would fit you if it was lowered two inches. 2) Don’t adjust your motorcycle gear ratio without checking out Gearing Commander. Another brilliant free service, Gearing Commander lets you look up your motorcycle model and compare the stock gear ratio vs your own front or rear sprocket or chain changes. Not only will new gear ratios be shown, but more importantly the site calculates what the top speed is for every gear with stock and custom gearing. Perfect for those of us who like to tweak our machines just the way we like them. 3) Get out and ride with Horizons Unlimited. These guys have been online since 1997. Their site has tens of thousands of motorcyclists sharing adventures and travels all over the world. They’re there to inspire you and to assist you. You can see what others have done as far as long distance riding or motorcycle touring. You can also take advantage of the sites local communities to contact riders where you’ll be traveling who may be able to offer you assistance should you need it. 4) Speaking of motorcycle touring, check out 11 Excellent Motorcycle Trip Planning Websites. 5) Our 5 Ways to Save Money Riding a Motorcycle series. Every point on this page links to a full-detail article outlining numerous ways to save money while riding a motorcycle, as well as how to get a better deal when you’re buying or selling a bike. Is it egotistic to link to one of your own pages on a list of the best websites for motorcyclists? Maybe, but the free advice will have you saving enough money not to hold it against me. 6) Never get frustrated with the little black and white pictures of your service manual again, thanks to Cyclepedia. The fellas there have redefined the motorcycle service manual and created a new standard. The manuals are digital and composed of colour images and even videos so as best to show you how to do the service you need on your motorcycle. Definitely a handy motorcycle site to keep in mind for your next maintenance day. 7) Check out Amazon for parts, especially replacement parts. Looking for a replacement air filter, oil filter, battery, or other wearable parts or accessories? Amazon is a great source. You can often find brand names like K&N and FRAM at a fraction of the cost. We don’t recommend buying helmets online though, but for parts and accessories, Amazon is great! 8) It may sound silly but social media and blogs are as good of an outlet as any for the transfer of information. It’s quick to see what tending and new and groundbreaking whether in your city, industry, or niche community. There are weekly Twitter chat groups such as #motochat which is like a live Q&A chat for motorcyclists. Motorcycle Mojo does much the same thing with their Tuesday night Q&A sessions. You can find blogs which cater to specific niches only such as bikerMetric does worth the custom metric motorcycle scene. There are always Instagram groups for every type of rider. The pubecent young dirt bike jerk type would probably enjoy “@dirtbikesoverbitches” – we admit we follow and love the pics, just wish the name would change. 9) Your local and/or specific motorcycle forums are huge assets. Ride a motorcycle in the Toronto area? GTAMotorcycle puts you in touch with 20,000+ riders from your area. Ride a Victory or a Triumph? 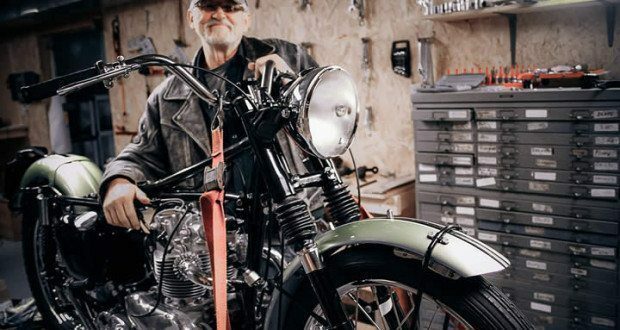 The Victory Owners Group and Triumph Rat sites are full of passionate fan boys and fan girls who are well familiar with your bike and can offer advice and inspiration for your vehicle or simply conversation with folks with similar tastes. Likewise popular models often have their own large forums. Harley-Davidson has been making the Sportster for over 55 years, and xlforum.net is a must-frequent site for the Sportster rider of recent production or yesteryears. What did I miss in our best websites for motorcyclists list? Please scroll down to the Comments section and let us know what you think are the best websites for motorcyclists. I’d like to keep this list growing so that we can share and learn from each other. Thanks! Of the 11 trip planning sites…….TravelingBikers.com seems to have gone t*ts up!